DeMarcus Cousins made his long-awaited debut in the Golden State Warriors' 112-94 win over the Los Angeles Clippers. 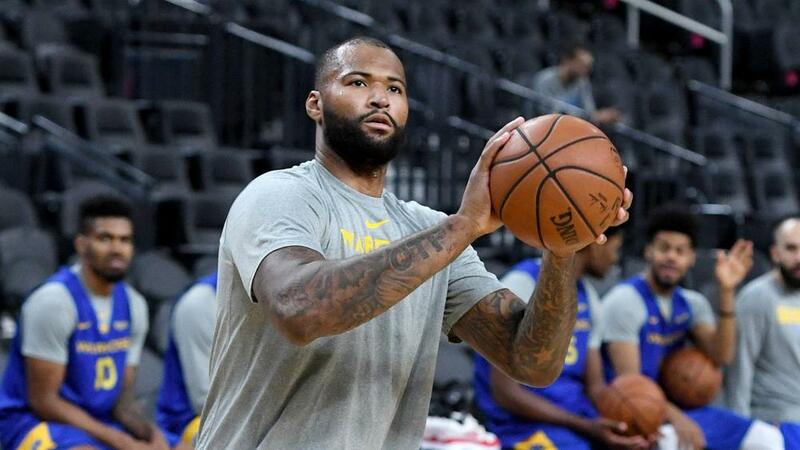 After nearly missing an entire year after suffering a torn Achilles last season, Cousins debuted for the Warriors and scored 14 points in NBA action on Friday. And from the beginning, the All-Star looked back in his element. For his first points with the Warriors, he threw down a monstrous dunk. The former New Orleans Pelicans and Sacramento Kings star even got into an argument with the referees within minutes of being on the court. He also found a way to foul out in just 15 minutes of play. Kyrie Irving had 38 points, 11 assists and seven rebounds in the Boston Celtics 122-116 win over the Memphis Grizzlies. Brooklyn Nets guard D'Angelo Russell scored 40 points and went eight-for-12 shooting from three-point range with seven assists in his team's 117-115 victory against the Orlando Magic. Blake Griffin posted 32 points, 11 rebounds and nine assists in the Detroit Pistons' 98-93 win over the Miami Heat. Portland Trail Blazers forward Jake Layman went off in the second quarter, scoring 18 points in the span of four-and-a-half minutes. He finished the game with 20 in Portland's 128-112 victory against the Pelicans. Cleveland Cavaliers guard Rodney Hood never really got anything going in a 115-99 loss to the Utah Jazz. He was one-for-six shooting with four points in 17 minutes. Taj Gibson made a fabulous pass in the paint to Derrick Rose. The former MVP then made a nifty reverse layup to finish the play as the Minnesota Timberwolves fell to the San Antonio Spurs 116-113.